Nowadays, people love to download MP3 music or albums for enjoyment offline, and I’m no exception. Listening to music while relaxing, taking a walk, or doing sports is a pleasant thing. But just the other day, something frustrating happened to me. I spent a few hours downloading a collection of music in several GBs. But it turned out that the sound of all MP3 are too quiet and barely audible. To make MP3 louder, I expended too much effort and finally solved it. If you are worrying about the same problem right now, to save your time, the following step-by-step tutorial will surely solve the immediate problem easily. WonderFox Free HD Video Converter Factory offers the easiest and quickest solution to increase volume of MP3 in batches. Moreover, it supports converting audio formats. If you have some desired audio formats to convert, just let WonderFox Free HD Video Converter Factory help you. For example, it can easily convert AMR to MP3, OGG to MP3, MP3 to AAC, etc. If you want to increase MP3 volume in batches, the best way is to use MP3 volume booster software. And here, I highly recommend to you Free HD Video Converter Factory. It enables you to have more control and options to adjust your MP3 audio files without quality loss. 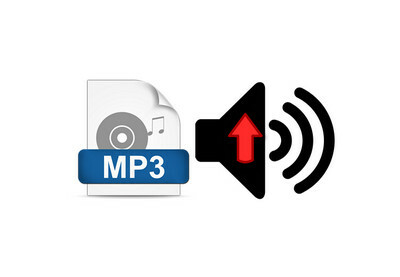 Besides increasing volume of MP3, you can reduce the volume, or converting the audio files to other formats. Like converting WAV to MP3, converting MPC to MP3, converting MP3 to AAC, etc. Don’t hesitate and give it a free try now! To increase MP3 volume, launch the MP3 booster. 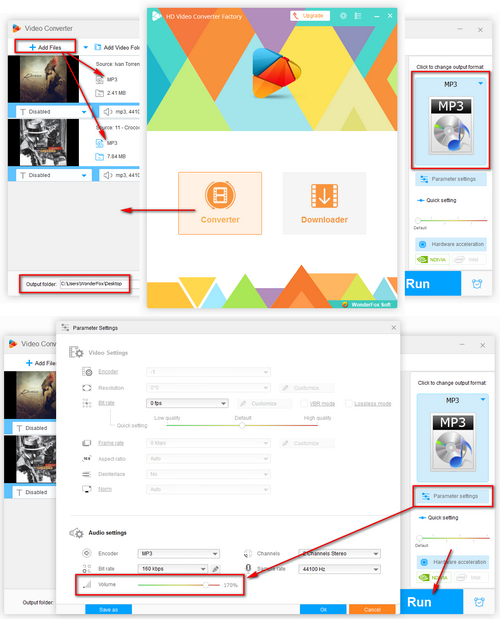 Then, click Add Files button to batch import all your desired MP3 files to it. Or you can directly drag and drop all the MP3 files to the main interface. First, click the Output Format window on the right of the main interface and select MP3 under the Audio tab, then click Settings. On the pop-up window, you will see a speaker icon; slide the slider to the right to boost the volume. Next, click OK button to continue. After completing all the above operations, you can choose the output path by clicking the folder icon on the bottom of the main interface. Then, click RUN button and all your MP3 files will be converted simultaneously. 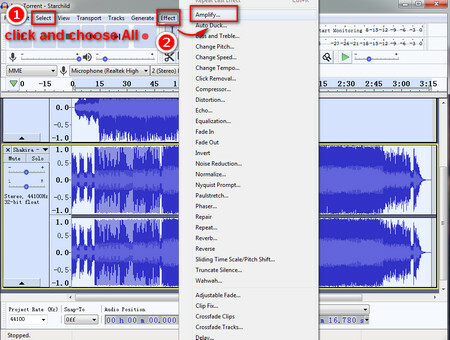 Besides increasing the volume of audio files, you can change other parameters, like channels, bit rate, sample rate, etc. Also, Free HD Video Converter Factory provides a downloading function. You can download videos and audio from over 300 video websites, like downloading from YouTube channel, downloading Anime Music, downloading Christian Music from YouTube, etc. There is another MP3 booster that can increase volume of MP3. Audacity is a free and open-source audio editor and recording software. 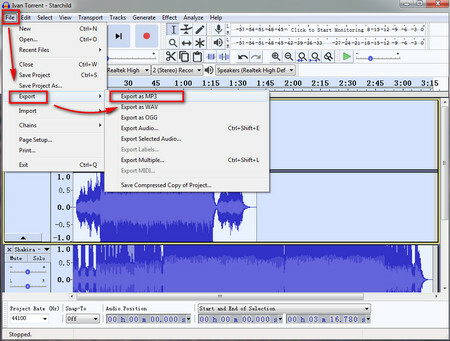 In addition to recording audio, Audacity can also be used to edit audio files. Now, just click the below link to first download Audacity to your computer and follow the steps to boost MP3 volume. Step 1. To increase MP3 volume, first, run the MP3 volume booster Audacity and select the wanted MP3 audio files and drag them to the main interface. Then click the Select in the menu bar and choose All, or you can just press Ctrl + A to select all the imported MP3 files. Next, click the Effect in the menu bar and choose Amplify. Step 2. On the pop-up window of Amplify, you can import a value for the amount of amplification you would like to apply, or just slide the volume slider. The positive values make the sound louder; negative values make it quieter. 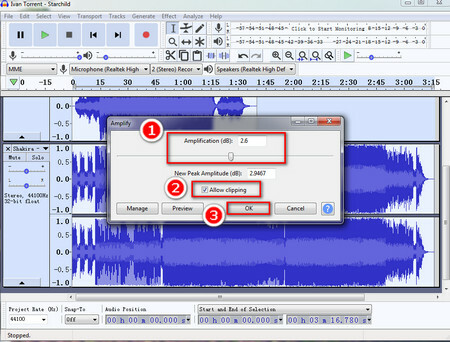 Then check Allow Clipping, you can apply as much amplification as you want. But please notice that the value should not be too high or it will cause some horribly distorted sound. After increasing MP3 volume, you can click Preview to audition, and then click OK to continue. Step 3. Finally, click File > Export > Export Multiple, open the output folder drop-list and select MP3 files, then click Export button to raise MP3 volume in batches. In the process, you need to install the LAME MP3 Encoder to complete the conversion. Just click the below link to download LAME MP3 Encoder. Some free Web MP3 volume raiser can also help you raise MP3 volume without distortion online. This website cannot raise MP3 volume in batches. 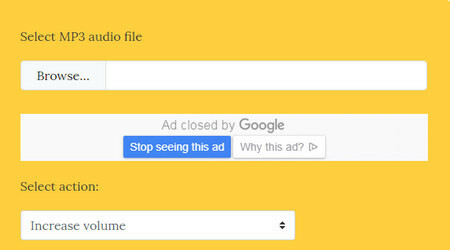 This website can raise MP3 volume in batches, but you need to turn off Adblock plug-in before the conversion, and after the conversion, you can only download the converted MP3 files one by one. As we have mentioned above, there are 3 straightforward ways to increase volume of MP3. Just choose one of them based on your circumstance and enjoy the wonderful music. Furthermore, if you find that the volume level of music in MP3 Library is unstable, some are too small, others are barely audible, then, you can also use HD Video Converter Factory to normalize audio volume. Free HD Video Converter Factory can help you increase or reduce audio volume. And can convert audio files to other formats. 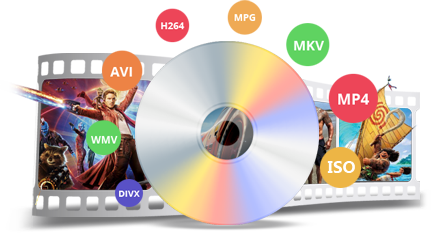 In addition to these functions, Free HD Video Converter Factory is an almighty video converter, enabling you to convert videos to more other formats, even to audio, such as converting MP4 to WAV, converting WMV to MP4, converting MP4 to WMV and so on. Meanwhile, it is absolutely secure and clean, and has a quite high conversion speed. With Free HD Video Converter Factory, converting videos or audio will no longer be a time-wasting and unsafe thing. The No.1 speed DVD ripping software allows us to rip our DVD collections to any video, audio and device. With the digital formats, we can enjoy our favorite movies at any time anywhere. Also, it can copy our DVD to ISO image and DVD folder with 1:1 flawless quality, which keeps our DVD collections in handy way. Just free download it and have a try now.